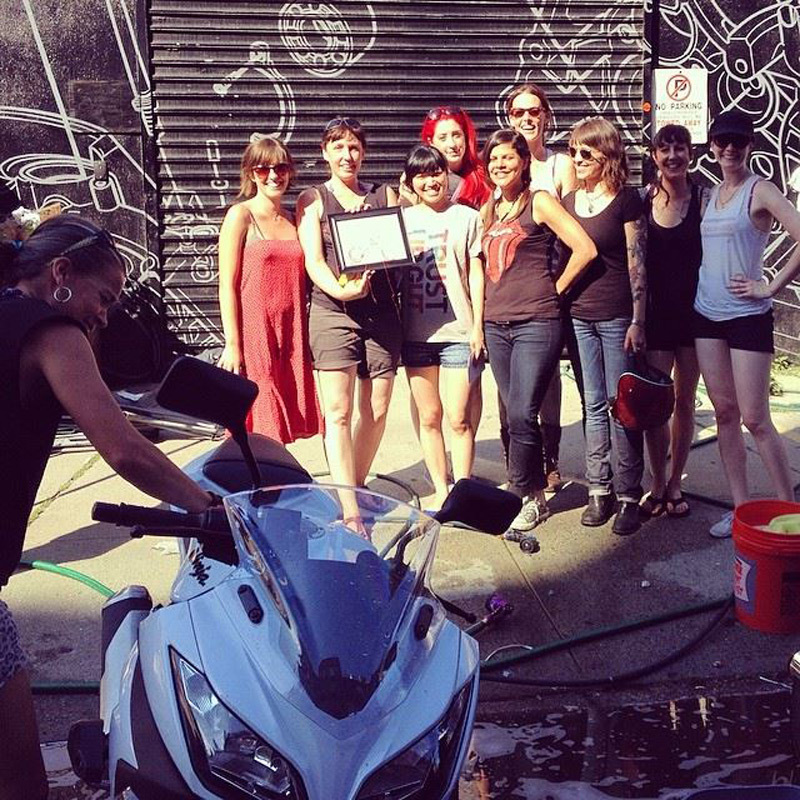 Yesterday was the first Miss-Fires Bike Wash Fundraiser, and I gotta say, it went better than I expected. I threw the idea out to the Miss-Fires for a fundraiser to help a friend with a very special cause. Since the deadline was/is so tight, I wasn’t sure I could pull it off. But to my chagrin, I sent out the bat signal and the Miss-Fires came to the rescue. The local moto garages also pitched in, and I went with the first taker, Brooklyn Moto, whom I can’t thank enough. I compare it to stone soup, throw an idea and a plan in the pot and our moto-community threw in their bits to cook up a full-blown event a few short days later. All funds went directly to NYC Art x Sweet Treat 311 to help children in Ogatsu-cho who were affected by the 2011 tsunami in Japan. The project is an art workshop that Hannah Lamar Simmons and Yuka Miyata put together to empower children by creating a sculpture for the town’s new learning center. The children will be able to contribute directly to their community’s recovery. 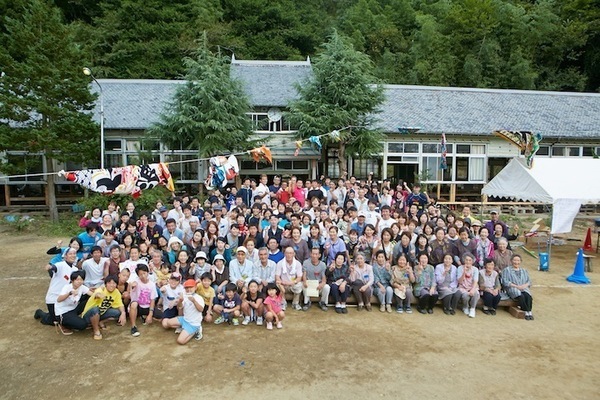 This project will open the door to future collaborations between individuals in NYC and the Ogatsu-cho community. Any little bit will help. And they are always very thankful, as this hand-made plaque represents. It would be awesome to have it hanging in a Miss-Fires club house some day. Many thanks to everyone who donated and have squeaky clean bikes. 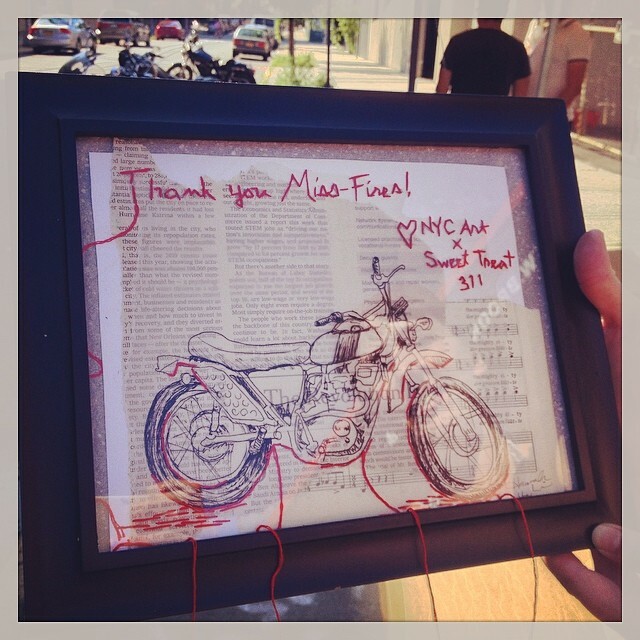 And thank you Brooklyn Moto for being our host. This entry was posted in Charity, Events and tagged charity. Bookmark the permalink. Happy America from The Miss-Fires!